This geocache can be accessed by traveling the road past Buck's Run Cabin area. Follow this road almost until the fork in the road. 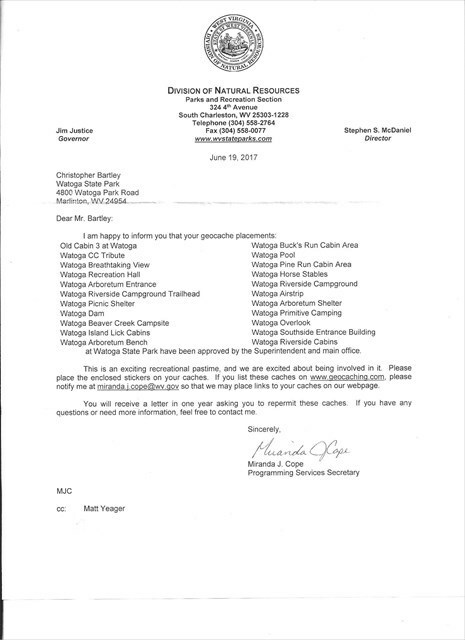 Approval LetterThis letter is from the Department of Natural Resources and approves this geocache to be placed at Watoga State Park.